Last week Chiara Ciociola, Manuel Podetti and myself – with the help from OD4D and ILDA that supported us on developing this project- ran a three-day workshop in Montevideo, in which we trained a group of academics, secondary school teachers, librarians, public sector professionals and postgraduate students in using Open Data as Open Educational Resources, and by working in groups they projected a research, explored the data and communicated the results using data journalism techniques. 40 (amazingly motivated) people attended the course during the 3 days despite the weather (torrential rains I brought all the way down from London). With the academic support and expertise of Manuel Podetti and Virginia Rodés from Núcleo REA (Universidad de la República) and with the invluable collaboration of Carolina Veiga and Daniel Carranza from Data Uruguay, the participants achieved so much, leaving us amazed by setting up the bar so high. The course design was a team effort, I had my very own ideas, taken mostly from the research Leo Havemann and I have done on Open Data as Open Educational Resources (book + paper), but it was inspired by the methodology developed by A Scuola di Open Coesione, and in the work Chiara Ciociola and Luigi Reggi do on Open Data for civic engagement. Also, we had lots of support from Silvia Sanjuan to develop the materials in Spanish and got lots of ideas for this course from Nelson Piedra, Annalisa Manca, Francesca de Chiara, Mor Rubistein, Carla Bonina, Tim Coughlan and Fabrizio Scrollini. To develop the course content, I looked into best practices on Open Data related literacies, and got some great content from Escuela de Datos and Open Knowledge International to introduce the participants to Open Data. But also, got help gathering resources, tutorials, ideas and good examples from Mariel García, Camila Salazar, Hassell Fallas, Juan Manuel Casanueva, Silvana Fumega and many other friends from Abrelatam, to all of whom I’m really thankful. The course was outlined in three stages [project, explore and narrate] using a critical pedagogy approach to develop – in a short period of time – the skills needed to use open data as teaching and learning resources in formal and informal learning environments, working in multidisciplinary contexts and involving the civil society in the projects, to work with students into solving real life problems towards developing critical thinking and citizenship skills. On the first day [project], during the morning, the participants were introduced to the world of Openness (Open Licenses, Open Data and Open Educational Resources) and its basic tools. The afternoon started with the group work, setting up the first challenge: To work in groups and find a real life problem and to project a research question out of it which could be answered by using open data as core research element. So the participants gather up in multidisciplinary teams in which each participant had a specific role (project manager, designer, principal researcher, journalist or analyst) and by the end of the day, they all had a research problem, a research method and potential open data portals and documentation to gather information. On the second day [explore], during the morning we reviewed tools to create datasets and to visualise data. During the afternoon, the participants started to report into the research problems and – with the help of lots of Mate to keep us warm and awake – presented the initial results of their research. Also, we had an interesting discussion about their views and perceptions on the pedagogical value of their projects, with a focus on the challenges they have faced and what they have achieved so far, looking into ways to embed these new data-led practices for teaching students or for training communities. On the third day [narrate] on the morning session, we looked into Data Journalism techniques and examples, we reviewed the news from traditional newspapers and compared them with news from Data Journalism portals, and discussed ways to embed data journalism techniques into teaching and learning to improve students’ communication skills and numeracies. During the afternoon, the groups worked into reporting the outcomes of their research in the READA-UdelaR Blog and finally presented the results of their projects. As can be seen in the READA blog , the groups chose a diverse range of themes and topics, and also, chose different approaches and methods to analyse the data and to present the outcomes. One of the things that most surprised us, it was the speed in which they became empowered and started trying to access to public data that was not yet open, dealing with FOI requests and contacting the organisations that must have provided with the data. Every group dealt with a different issue, from access to food to road accidents, they all used different research methodologies and reported and various and diverse ways. All their projects targeted real life problems, and in three days, every group was able to came with a research outcome and proposed solutions, they all presented nice and insightful infographics and participated in a panel where they discussed with the rest of the course the lessons learned, the challenges faced and sought for ideas to embed this practice into the classroom. Also, it was interesting to see the landscape of opportunities they described as potential pedagogical uses of open data in formal and informal education, such as “provide the students with a different perspective to access information widening their panoramas“; “to empower students as citizens by giving them innovative tools to collect information and data“; “to explain the students the laws that allow them to get the data they need and to use it as an act of civic responsibility” and also, “to work with my colleagues to help students to work in multidisciplinary projects“. From my side, I did learn a lot, both as a researcher and as a trainer, I loved the experience, the group of collaborators and participants was amazing, we were happily exhausted by the end of it, the motivation was contagious. I know there are some bits to improve in the course, but for being the first experience of this kind, I could not ask for more, I am really grateful for this opportunity and I’m looking forward to run this workshop again, as it was an incredible experience. Most readers are aware that under the current publishing market model, the only organisations profiting from publishing scientific research are large corporations or predatory independent publishers that charge high rates to authors for Article Processing Charges (APCs) and/or that charge libraries high subscription fees to provide digital (not printed) access to articles, in order to make them somehow available to the readers (see the cost of academic publishing). I love the concept of openness, because it’s all about sharing good practices, ideas and making research accessible for everyone everywhere, democratising access to knowledge and information. So, in order to celebrate Open Access Week, I compiled a very short list of journals that are fully open access and that do not charge the authors for publishing with them. This for me is key, as while I was doing my PhD I was able to publish my research in some of these journals without having to pay for APCs and to access all their articles without my having to pay (or my library having to pay) for subscription. The list of journals I give below can make life much better for early-career researchers and for those researchers that do not work in academia, that want to get their research in open education published in high quality journals, and that want to conduct research where libraries cannot afford to pay for subscriptions. The list should also be of great help to the increasing number of independent researchers outside higher education institutions. What is important to me are the editorial values of these journals: they are supported by international universities and organisations, they do not aim at profiting in any way, they have excellent editorial boards, they are well indexed and finally, they have speedy publishing times, which is beneficial both for authors and readers. Are you an academic? Have you used open data for your teaching? Can you please share your experience? We (@leohavemann, @ErnestoPriego and myself, @jatenas) are conducting a mini “research” to understand which portals, tools or repositories academics use to retrieve open datasets and how this information is being used in teaching and learning in Higher Education. If you have any questions, please contact me in Twitter (@jatenas), I will publish the results of this survey as a blog post as soon as possible. ¿Eres académico/a? ¿Has utilizado datos abiertos en tu docencia? ¿Puedes por favor compartir tu experiencia? Estamos (@leohavemann, @ErnestoPriego and yo, @jatenas) realizando un mini “investigación” para entender que portales, herramientas o repositorios se utilizan en la educación universitaria para recuperar conjuntos de datos abiertos y cómo esta información es utilizada por docentes universitarios. Si tienes alguna pregunta, por favor contáctate conmigo en Twitter (jatenas), publicaré los resultados de esta encuesta como una entrada en el blog tan pronto como sea posible. *** As I got a very large list of references by @edaberta about OER research in Portuguese and by @fagottissimo on the literature they collected for the Wikijis project I will continue this post in a part II and possibly in a part III. Please bear in mind this is my very personal OER bibliography, and I’m sure I’m forgetting to add some super important references and key resources, or that there are some mistakes in this post, so, if you are twisting your head around and crawling on the ceiling like Linda Blair because I forgot to add THAT piece of research or because the reference is not correct, please forgive me and send me the reference and/or the link to the paper. Also, there is a possibility (well, I’m sure) that some of the links are broken, sorry for that, the best way to retrieve a paper with a broken link is by going to Google Scholar – your local library system and search for it. I don’t think I will have the time to fix broken links because, as you might know, managing references is like having a leaking ceiling, you fix one hole and starts dripping somewhere else. Brace, I. (2008). Questionnaire Design: How to Plan, Structure and Write Survey Material for Effective Market Research (2nd ed., p. 288). Philadelphia: Kogan – Market Research in Practice. Descombe, M. (2010). The Good Research Guide for Small Scale Social Research Projects. (4th ed., p. 349). Maidenhead: McGraw – Hill Education. Ritchie, J., & Lewis, J. (2003). Qualitative research practice: a guide for social science students and researchers (11th ed., p. 430). London: Sage. After weeks and weeks digging on the internet, reviewing hundreds of OER initiatives, projects, blogs and hashtags, and also harassing other OER enthusiasts and experts in twitter, I managed to develop a first version of a directory of OER repositories. This version only includes the name of the repository, the URL and the country of the initiative and there are 73 OER repositories associated. If you know any other, if you see that I’m missing one (or many), if you are developing one, or you have any feedback, ideas or comments, please contact me on twitter @jatenas, as your input is really important for me. I deliberatively did not include OWC, Institutional Repositories (articles, reports, thesis), ITunesU, MOOC initiatives, Open TextBooks, OpenAccess Repositories, sets of content that are not under CC licences such as BBC, or hybrid content repositories because this research is based on repositories of Open Educational Resources only. Thanks to Andreas Link @elearning4, Abel Caine @abelcaine, Leo Havemann @leohavemann and Francisco Rojas @frojas_sateler for sharing resources and ideas. Some thoughts about publishing research on Open Educational Resources and Open Access. I should start saying Mea Culpa; I did published about OER in a non Open Access Journal and I totally regret it, I never thought about it, I was naïve and I thought it would be a great opportunity, until someone made me realise about the price of the article and I felt (and still feel) mortified. Why the journals have to make profit with our research about OA, OERs or OK? Writers are not paid for the research they produce by the journals, we are paid by the taxpayers therefore we should think to make our results open to everybody. I decided to do a bit of research about it, so I did a search in some databases about the following terms: Open Access – Open Educational Resources – Open Knowledge and surprisingly (or not), all the papers are quite expensive. You can try it yourself, go to http://www.sciencedirect.com/ and search for Open Access: the average cost of a paper is $35.00 and all of them were published by Elsevier, so I was wondering, if we are talking about Open Access, OERs or Open Knowledge, shouldn’t we embrace the concept and make our research public? Is the need to increase our publication rate more important than being honest and keep OA research open? Accordingly to the Research Councils UK “publicly funded research must be made available to the public and remain accessible for future generations“. So the research produced with public funds must become Open Knowledge which is defined by the Open Knowledge foundation as “any material — whether it is content, data or information-based — which anyone is free to use, re-use and redistribute without restriction“. So, from my point of view, this is spirit we should all embrace, and by all means everyone doing research about OA, OERs and OK should think about putting their research open for everyone and not let the journals to profit about these concepts. There are universities which subscribe to the aim of openness by asking to their academics and researches to publish in Open Access Journals. The OA movement is growing but there still not a general commitment in academia to publish freely and openly. It seems to me that there is an ethical issue which go deeper into the roots of this movement, why the scholars send their research to be published in commercial journals? There is of course, the issue of impact rate, how many OA journals have the impact of the commercial – for profit journals? Not many… unfortunately, because producing a paper can cost lots of money, and the academic libraries are paying fortunes to subscribe to the journals in which we published our research, so if more research can be made open, more money our institutions will save, and therefore, more universities will be able to create journals and repositories where our research can be available to everyone without paying to access. So, under this model the funds can be re-distribute and it will be the universities those who benefit of our research rather than the journals. As I said, mea culpa, I learned my lesson…. from now on I will do my best to publish for OA journals or in conferences (and digital newspapers) where the proceedings are made publicly available or at least free. Any thoughts? 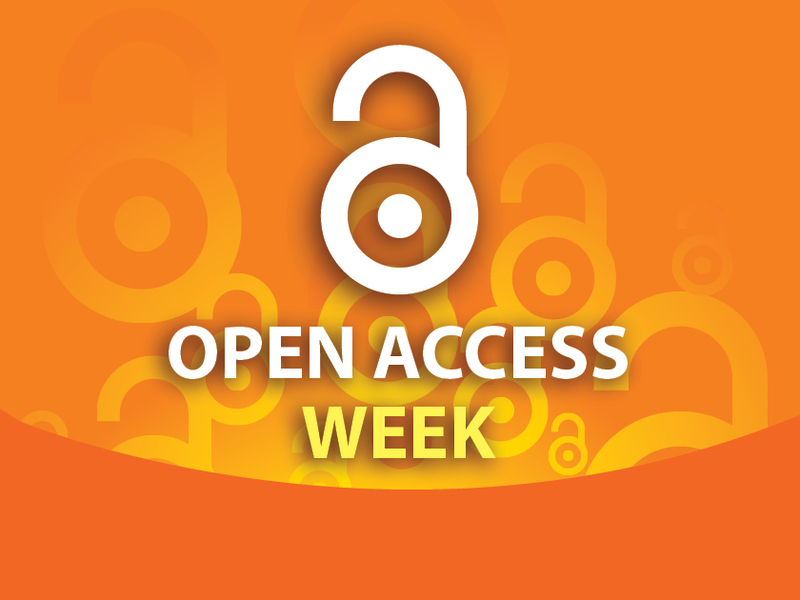 Want to share your experiences about publishing in OA journals?